NOTE: Please go here if you are looking for teams management. 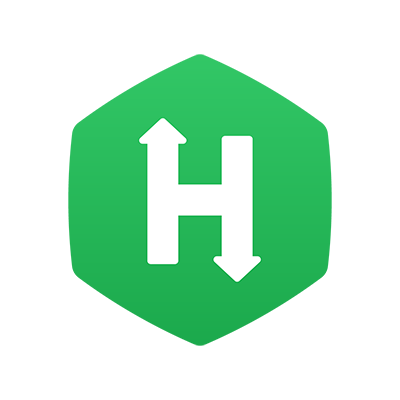 HackerRank for Work allows you to create Role-based questions to assess candidates. This facilitates the hiring of programmers who are familiar with each layer of software technology and are adept at front-end programming, back-end programming or both. Role-based questions can also be custom made to suit roles such as DevOps, Database Engineer and more. Below we elucidate the steps to create a role-based question. To learn more about "Role-based Assessments", read our blog. Once you choose the role, you will be proceeding to the stage where the question can be designed. Note: The following steps elucidate how to set up a Front-end Developer question. These steps are also applicable to the Back-end Developer and Full-stack Developer type questions. You can view the detailed steps in creating questions for other roles in the Question Creation section. Consider you are framing a question that is part of a Front-end developer assessment. The Setup Project tab will already be initialized with a sample project for the selected stack. The sample project has the necessary hackerrank.yml config file that is required for configuring necessary project parameters like scoring command and IDE menu config. You can use this sample config file as a reference when creating your own question. To know more about various parameters of the config file, see Writing the configuration file for projects in Front-end, Back-end, and Full-stack developer questions. You can use the already present sample project to proceed to step 7 if you quickly want to set up a question. Do not use sample projects in a test. These projects are designed to only serve as sample projects, they are not designed for evaluating candidate skill. Note: Beta version of this step had a restriction that top-level directory must be named 'project'. That restriction isn't valid anymore. As soon as the project is imported, validation will start automatically. A Front-end, Back-end or Full-stack developer question cannot be created before the successful validation of the project. Refer to How to create a valid project for a Role-based question to learn more about the validation process. If the validation fails, use the information provided by validation result to fix the project. You can use the in-page file editor to update and save files or update project on your local and re-import. If you are making changes using the in-page file editor, hit the Validate button when you are ready. It will start the validation process again. Once validation succeeds, you can Save & proceed to the next tab. Note 1: If the validation fails at a step that is run after a server has been created (scoring command validations for example), you will get an additional link called 'open debug console'. You can open the server and debug scoring command in the live environment. The debug console is available to you for 30 minutes and changes made here are not saved to the original project. Note 2: If you were editing a Full Stack question, on modifying existing files, you have an option to 'reset to last saved project structure' which will reset the file structure to the last valid state. Similarly, you have an option to 'Download last saved project structure'. Ensure that the problem name does not hint at the solution to the problem. Tags are words or phrases that help in searching and organizing questions. You can add existing tags or create new tags. You can add the existing tags or create new tags and set the difficulty level for your Question by associating the tags as Easy, Medium or Hard. Alternatively, associate custom Tags to identify your Question by its complexity or levels. Refer Setting the Difficulty Level for Questions for more information. Internal notes are for later reference. You can include a rubric about scoring the questions or write solutions to the problems in this section. These can be used by your team while evaluating the test. They are only visible to your team and you; however, candidates cannot view these notes. This step is optional.